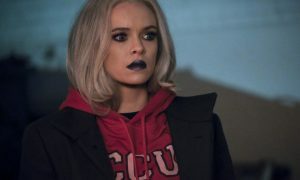 This week on The Flash season 5, Barry Allen went into the Speed Force so Nora West-Allen was the star of the show. After Cicada killed Iris West-Allen, Nora went back in time to try to change things. But, no matter what she did, Cicada always killed someone she cares about. The episode was a great idea. Especially because the time travel meant that Cisco Ramon went on the same date over and over, with slight variations. This was a slam dunk idea for a fun episode, but unfortunately the execution was lacking. The main problem was that Cisco’s screw ups were too extreme. Based on information Ralph Dibny gave him about Kamilla’s exes, he showed up to each date with a different persona. Watching Cisco pretend to be an executive or an Instagram influencer was only funny if you didn’t think about it too much. The reality was that he was lying to a woman to manipulate her. That goes way beyond the idea that he just needs to learn to be himself. It makes him actively a bad person who Kamilla should stay away from. It felt untrue to the character. Sometimes the writers forget that while Cisco is comic relief, he’s also a three-dimensional character that viewers are invested in. The resolution in which Nora was honest and the whole team helped her stop Cicada was very satisfying. Afterwards, Barry returned and gave her a talk about not messing with time. After this talk, she returned to Eobard Thawne and admitted she’s feeling uncertain about their team up. It’s bizarre that Nora is still only mildly skeptical about Thawne despite all the red flags. 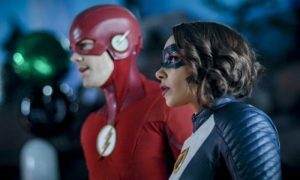 In this episode, Cisco told her about the fact that he murdered him in cold blood and is only alive today because Barry altered time. Somehow that didn’t register with her, but Barry’s generic speech about how changing the timeline can have unintended effects did. I hope The Flash presents a compelling reason why Nora is aligned with Thawne at all soon because she’s letting a lot of things slide. 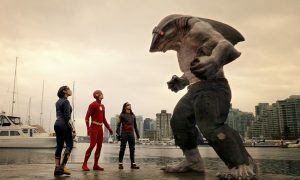 Also check out my review of the previous episode of The Flash season 5.